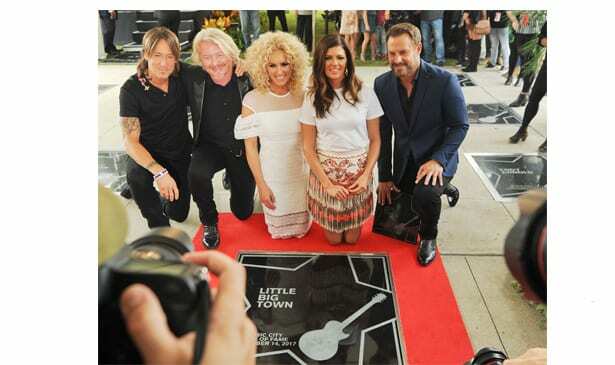 l-r; Keith Urban, with Little Big Town members Philip Sweet, Kimberly Schlapman, Karen Fairchild and Jimi Westbrook, pose in front of their new Walk of Fame star. 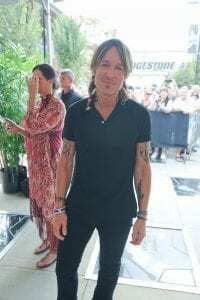 All photos by Earl Flippen, Jr.
Keith Urban hanging cool back stage before the induction event. Ryman Auditorium, and Lula C. Naff was the theater manager who helmed the Auditorium for more than 40 years and famously booked the Grand Ole Opry there. Music City Walk of Fame. 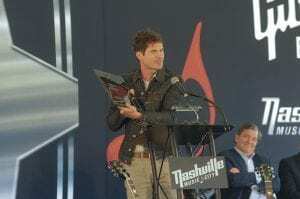 Inductees are recognized for their significant contributions to preserving the musical heritage of Nashville and for contributing to the world through song or other industry collaboration. posthumous award in honor of Captain Tom Ryman. Jeannie Seely was presenter of the posthumous award in honor of Lula C. Naff.